Fundraising in Turkey has come a long way in recent years. Historically, Turkish citizens did not have the notion of raising money for a charitable organization of their choice. Nearly 90% of charitable support for non-governmental charity organizations (NGOs) came from corporate and institutional donations, and NGOs struggled to engage grassroots support for their initiatives. In 2007, six social entrepreneurs set out to address this gap. Renay Onur and Itir Erhart and four friends wanted to find a way to motivate Turkish citizens to help address urgent social problems. At the same time, they wanted to foster a culture of giving amongst individuals and small groups. And they wanted to leverage technology to help them do so at scale. Inspired by the charity race fundraising model seen in other countries, Renay and Itir formed the Adim Adim (“Step by Step”) Initiative. Adim Adim is a volunteer-based organization that promotes charitable giving through sponsorship of athletes in local sports events. Primarily focusing on running, Adim Adim provides a comprehensive online platform for all stakeholders to connect: fundraisers (runners), donors, and NGOs. As the intermediary, Adim Adim mobilizes fundraising around a particular race, collects and routes donations, and provides NGOs with visibility to their supporters. For Adim Adim, success means scale. The organization grew steadily over the years, but their operations were highly manual and laborious. Up to that point, the organization had kept track of more than 65k lines of participant data in Excel spreadsheets and Pivot tables. They were updating runners and fundraising data manually twice a week. Adim Adim knew they needed a robust technology solution in order to grow. They began looking for a platform that could help them scale up to support more NGOs and more runners, as well as improve online engagement. Adim Adim first looked at Microsoft Dynamics CRM and Office Sharepoint as a possible solution, but later decided on Salesforce based on a recommendation from a local Salesforce Cloud Alliance Reseller Partner. The partner showed Adim Adim’s leadership how Salesforce could not only digitize their operations, but also transform their engagement model. Adim Adim agreed with this approach and worked with the partner to implement Salesforce for Nonprofits, using Lightning to create a customized UI. Implementing Salesforce allowed Adim Adim to significantly streamline operations across the organization. It provided a centralized system of record, pre-configured to support a donation-based initiative, for anyone at Adim Adim to easily access data on their runners, donors, NGOs, and sponsors. The organization had been using MailChimp as their email delivery provider, and with MailChimp for Salesforce from the AppExchange, their outreach became seamless. Migrating their data from Excel and Pivot to Salesforce took only one day, including testing, and they were ready to accept donations the next day. When it came to their customer engagement app, Adim Adim envisioned a sophisticated user experience that made participating as a runner or donor simple, rewarding, and transparent. The partner they worked with had previous experience building apps on Heroku for other clients, so it made sense to use Heroku for Adim Adim’s new cross-platform app. The development team appreciated the ease-of-use and flexibility of Heroku, as well as the platform’s ability to support their development language of choice – PHP using the Yii framework. The team chose Heroku Postgres to store their data and used Heroku Connect to tie the customer-facing app to their Salesforce backend. As their new app engaged donors as well as runners, Adim Adim needed an online payment solution. The development team integrated a payment gateway from local social enterprise Yuvarla to process credit card-based donations and route them to the appropriate NGO bank accounts. Previously, only 5% of donations collected had been through credit cards. With their new app, this figure has risen to 70%, which significantly improves Adim Adim’s operational efficiency and helps advance their organizational goals. Moving from offline, manual donation collection to an online, self-service model has also provided value to Adim Adim’s stakeholders. Runners and donors can now easily see donations posted in real-time to individual and team fundraising appeals. Because the app provides donor visibility, NGOs can directly thank donors and initiate a relationship. In a country where giving is uncommon, access to donor contact information is a tremendous asset for charities. Fundraising wins start with the runners themselves. Adim Adim’s new app needed to keep runners motivated before and after the race, as well as encourage them to participate in future races. Features such as donation leaderboards, rankings, achievements, and badges set up fun, friendly competition online prior to the race. Adim Adim’s goal was to create a “celebratory” environment where top fundraisers are recognized and everyone feels appreciated. The organization also wanted to give runners tools to personalize and control their own campaign. For each race, runners create their own campaign page and select one of eight social initiatives to support. Runners can band together to create a team campaign, and corporate teams can accept company matches that double their contribution. Runners may also suggest new NGOs for Adim Adim to consider through a recommendation tool in the app that automatically creates leads in Salesforce. 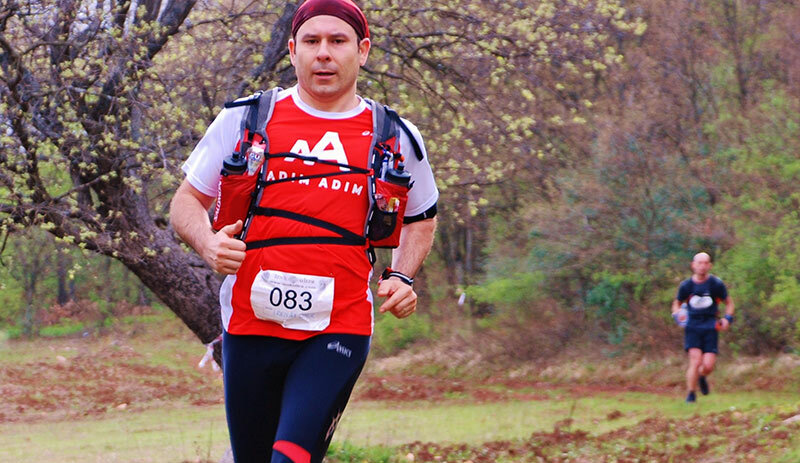 Adim Adim launched their new engagement system in October 2015, just in time for the Istanbul Marathon. The organization is proud of how far they’ve come from their first race eight years prior, with 40 participants raising $20,000. This year’s Istanbul Marathon saw 1,500 Adim Adim participants who raised $750,000—an enormous sum by Turkish fundraising standards. Moreover, Adim Adim’s impact on the charitable giving landscape in Turkey has been remarkable. To date, Adim Adim has helped grow individual contributions across the country from 10% to than 30%. In recognition of their contribution, Adim Adim’s founders have been awarded prestigious Ashoka fellowships. Now, it’s all about scale. With their new system in place, Adim Adim can focus on increasing support for more NGOs and more runners, as well as evolve their engagement experience. For the Antalya Marathon in March 2016, the organization expects to cross the finish line with exponential growth.